My Chat with Victoria . . . Details about The Story of Penny . . . So, when will we be able to view “The Story of Penny” on the big screen? Well, Victoria (the executive producer), Caroline Duncan (the director), Lenore Marks (the producer), Jamal Solomon (the director of photography), and the rest of Team Penny are hard at work to make that happen! When I spoke with Victoria, they were casting for Penny, which is scheduled to be filmed in mid-September. They have secured locations for filming and have enough funds for their three-day shoot. Victoria would love for Penny to be available for screening this December 2018 and hopes to show it at festivals in 2019. For this to happen, however, more funding is needed for editing and producing. Ultimately, Victoria’s dream is for her short film, “The Story of Penny,” to be turned into a feature film so that the characters’ stories can be explored even deeper. How amazing would that be?! To have an authentic representation of what it really means to be childless shown in theaters… Well, that is more than a good thing! That would be a phenomenal thing! 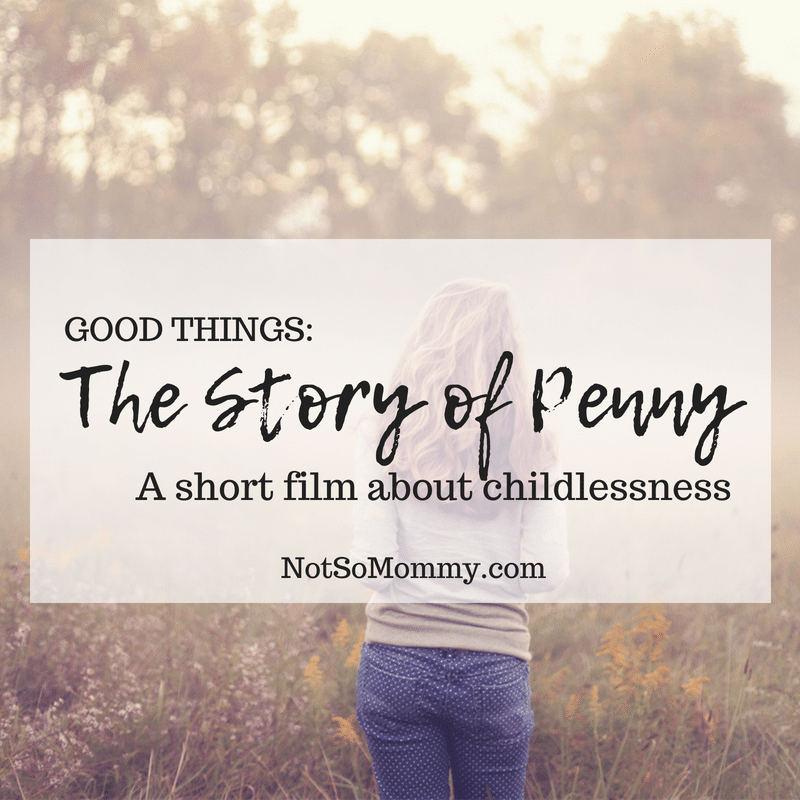 Fabulous one, if you’d like to help get “The Story of Penny” on the big screen, please email thestoryofpenny@gmail.com for details about how to make a secure donation. No donation is too small. When we each do a little, it adds up to BIG things! 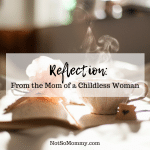 Make sure to never miss a Not So Mommy… post! Subscribe here to receive monthly round-up emails straight to your inbox. 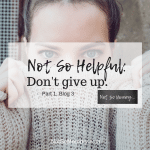 Not So Helpful Advice: Don’t give up.